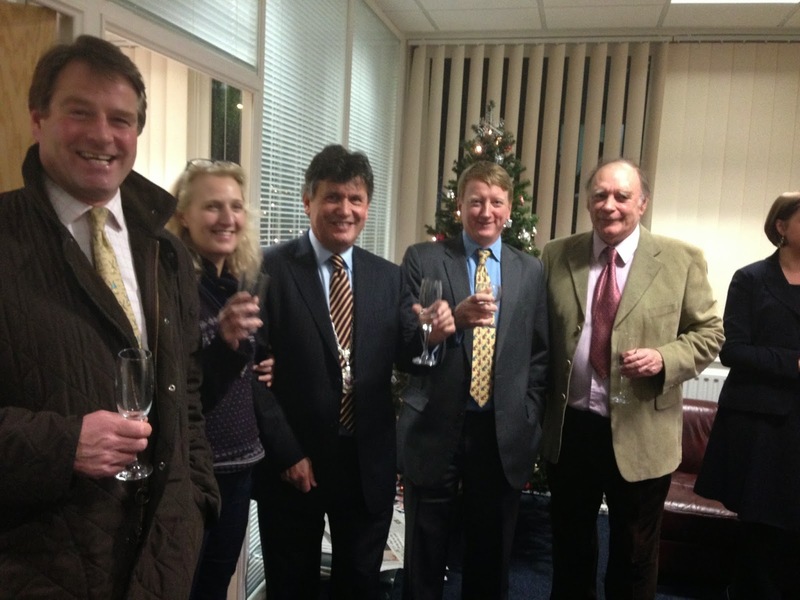 CHIPPENHAM AND MARLBOROUGH OFFICES ARE READY FOR CHRISTMAS! 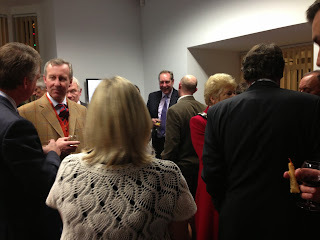 Lots of people attended and everybody had a great time. Chippenham office in full swing! ABD Partner Alexander David who heads up the Chippenham office with Mayor of Chippenham Councillor Sylvia Gibson and her Consort Mr Terry Gibson. Cheers! From left to right; Edward Hall (Smiths Gore Estate Agents), Mayoress Fiona Loosmore, Mayor of Marlborough Councillor Guy Loosmore, Myles Palmer (Brewin Dolphin) and Councillor Nick Fogg. Come and enjoy the festivities and see the lights switch on. ABD is proud to sponsor the main Christmas tree with ABD banners around. 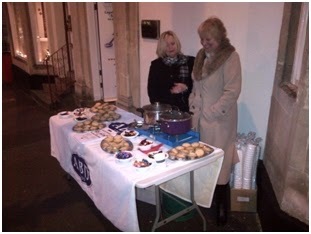 Mulled wine and mince pies will be on offer from ABD team outside the office in the High Street. 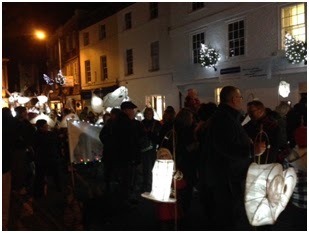 The Devizes office was ready with banner above the front door and Christmas trees lit up on the front of the building as the Lantern Parade assembled with hundreds of people. The lanterns which were truly amazing again this year including a life size elephant!! The town was packed full of people eagerly awaiting the Christmas light switch on and when it did the main tree with ABD banners beneath looked fantastic! CHIPPENHAM CHRISTMAS LIGHT SWITCH ON – A GREAT EVENT! Chippenham town centre was a very busy night on Friday 29 November 2013. It was the Christmas light switch on in Chippenham Town Centre. Thousands of people arrived to enjoy the stalls, seeing Father Christmas arrive and the Christmas light Switch on taking place. The giant tree in the market place with ABD banners around looked magnificent when lit. ABD team were on hand outside their office at 38 Market Place to offer mulled wine and mince pies to passers by enjoying the festivities! As night drew in the evening appeared to feel much colder and had the air of Christmas buzz about it! Jacky Hubbard and Sian Moreton at the ready with mulled wine and mince pies.